(Nearly) always something to raise a smile on my morning walk! Marigold: so did I this morning. Good to know you're around. Stick to the teas and coffees, it'll be alright. twoscamps: many thanks. I love my neighbourhood! Zhoen: trouble is, a pizza with an apostrophe is very tempting. I wonder if the apostrophe is part of a special topping? Read both signs and then decide! 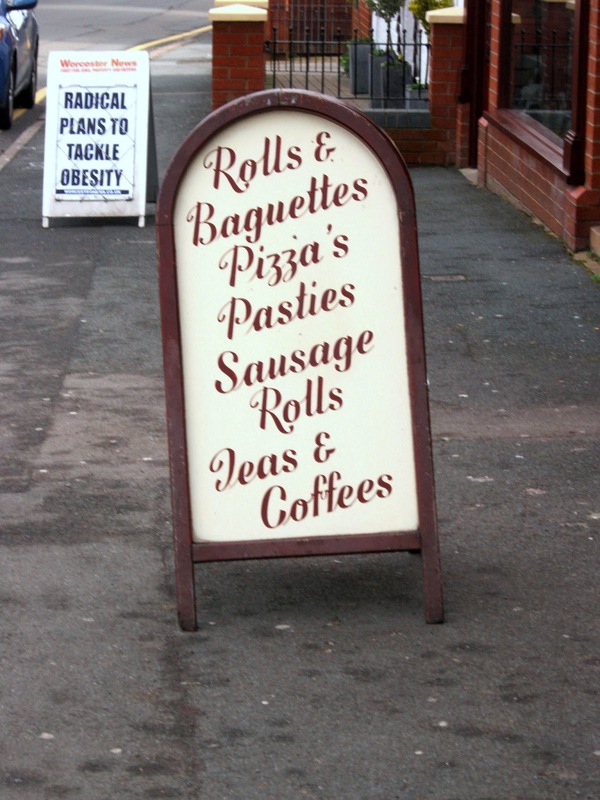 ah, the Grocer's Apostrophe...always good for a smile, even on a down day. Excellent catch! But yes, the apostrophe is, er, intriguing. Pizza's Pasties, I would guess.